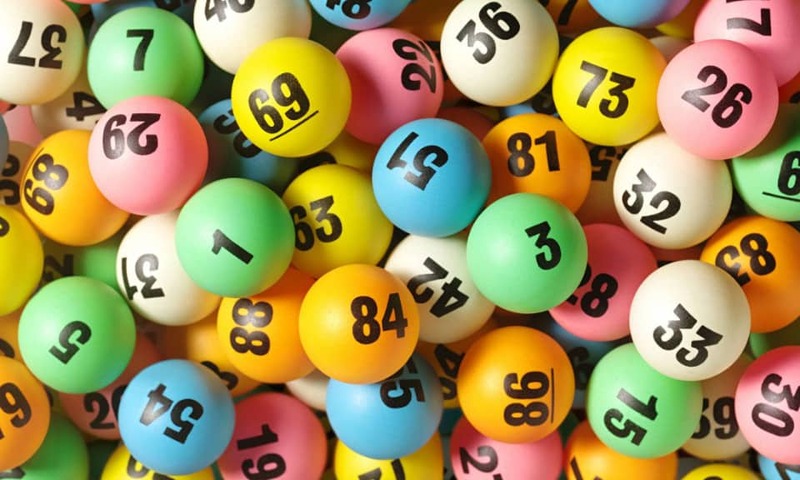 Join us in the sixth part of our Sutherland Shire NBN Guide as we take a light-hearted look at who the winners and losers are in the Sutherland Shire NBN Lottery. The NBN Multi Technology Mix sees some Sutherland Shire suburbs getting fast internet speeds today and even faster speeds tomorrow while others suffer poor speeds with no foreseeable solution in sight. Welcome to the Sutherland Shire’s digital divide. Why is the NBN rollout a lottery? The Rudd governments original NBN plan was to deliver Fibre To The Home (FTTP) to over 90% of Australian homes. In 2013, the newly elected Abbott government introduced a variety of alternative technologies (dubbed the Multi-Technology Mix or “MTM”) because FTTP was deemed too expensive. This change in government policy sees some homes benefiting from great internet speeds today and even better internet performance tomorrow, whilst their neighbours might be stuck with consistently poor speeds for the foreseeable future. How do we determine the winners vs the losers? Secondly, we’ll use the enthusiast maintained NBN MTM map to get a snapshot of the Shire and the NBN MTM distribution. Disclaimer: NBN™ regularly changes deployment strategies and does not always update their website with their latest plans so there will be discrepancies between real life roll out, advertised roll out on the NBN™ website and the NBN MTM map. 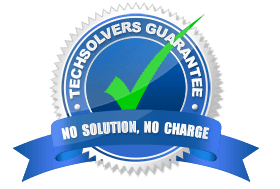 Use the code 20T3CH10 when you book TechSolvers online to get 10% off the hourly rate. Like the TechSolvers page on Facebook and you'll qualify for a free internet and WiFi health check with your next TechSolvers booking. Congratulations to the residents of Greenhills Beach and that little scattering of premises in Sylvania. You’re getting the fastest NBN possible. Yes, we’re jealous! There are also a small number of properties under development in Miranda (Miranda Road) and Caringbah (Willarong Road, Taren Point Road) that are expected to receive FTTP. The effects of the digital divide are most visible at Greenhills Beach. Within the space of 500 metres we see lucky FTTP homes in Greenhills Beach, some not quite as lucky FTTC homes just south of Links Avenue and then some quite unfortunate FTTN homes sandwiched in-between. The first of the runner-ups are getting the newest addition to the MTM range, Fibre to the Curb. Residents in Miranda were amongst the first in Australia to receive their NBN via FTTC and many more suburbs across the Shire will join them in the coming months. Fingers crossed this new tech is more waterproof than ADSL because FTTC will likely re-use those Telstra pits that fill up with water in the rain. Fibre to the Building is implemented based on multi tenant dwelling suitability which means there are no complete suburbs just with FTTB. 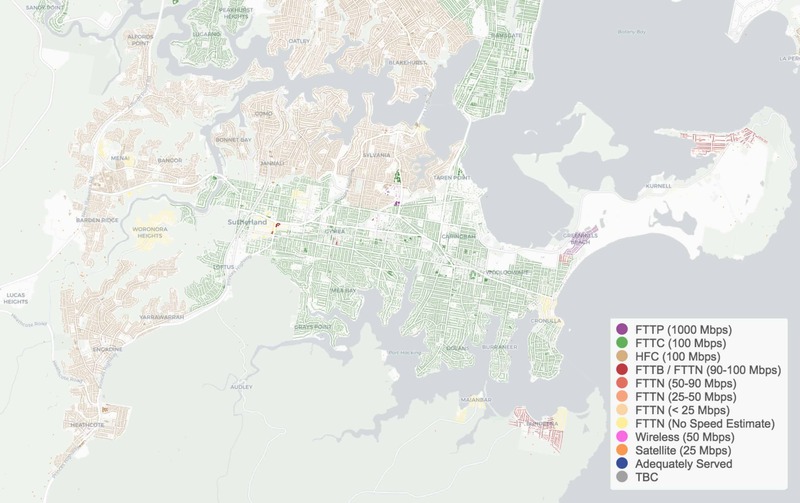 We expect there to be many more FTTB premises updated on the NBN map over the next 2-3 years. Plenty of Hybrid Fibre Coaxial users are happy with their NBN connections and there is still the possibility of Gigabit speeds, however, the very visible, ongoing issues with HFC leaves it somewhat up in the air. The problems with HFC have been so prolific that Nbn™ put new HFC connections on hold in November 2017. There is now widespread speculation that it may be replaced with FTTC. We expect hope for further changes to the HFC distribution over the next year. Fifth Division: Bundeena, Sutherland (mostly south of Princes Highway and East of Eton Street), Kirrawee (Around Bath Road and The Boulevarde), Central Cronulla, Kurnell, Woronora Heights, Menai (either side of Pioneer Drive, west side of Allison Crescent, south side of Bangor Bypass). Bad luck FTTN users. Bear in mind, properties within 250 metres of a node should still receive close to 100 Mbps. Similar to HFC, we have seen some FTTN properties switched to FTTC so we have our fingers crossed for you. * We are seeing changes to the technology allocation quite frequently at the moment so these results will likely change. The image above is based on a snapshot of the NBN MTM map on 03 Apr 2018. Does this mean if I don’t live in Greenhills Beach my internet will be slow? Many Australians on all connection types are enjoying fast internet speeds after moving to the NBN, however, a greater percentage of FTTP users will have fewer issues with much faster speeds compared to other technology types. For more detail, have a look at our write up of the benefits of FTTP over other MTM technology types. 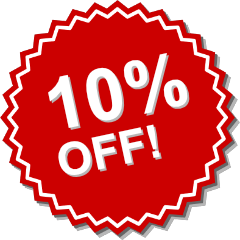 Prices start from $100 for home customers, $125 for business. Book online or call 02-8502-8954 between 7am and 7pm. Can I upgrade my connection to FTTP? How much will an upgrade to FTTP cost? Looking for answers to more Sutherland Shire NBN questions? Check out our Sutherland Shire NBN Guide page to see an extensive list of NBN questions answered on our blog. Alternatively, you can also send us a message via our contact form OR you can call us on 02-8502-8954.